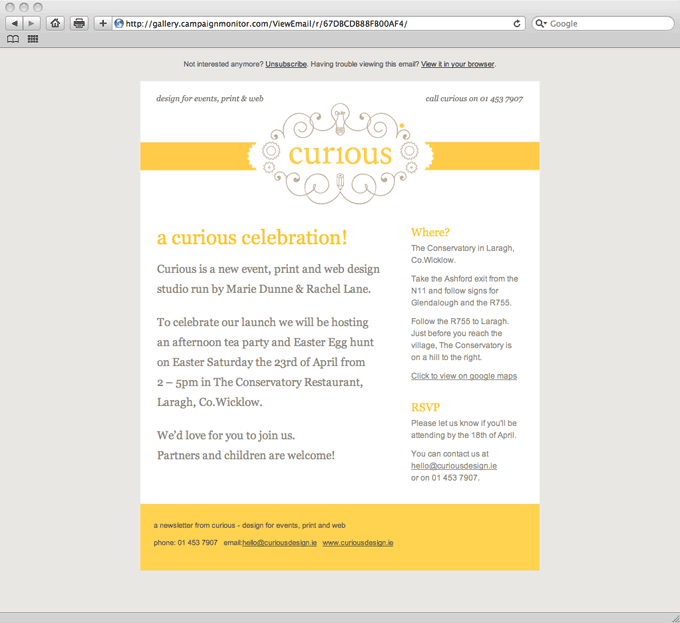 We were delighted to see our launch party email invite recently featured as an example of good email newsletter design in the Campaign Monitor gallery. Click here to see the full post. Email newsletters can be an effective, inexpensive way to stay in touch with your customers and promote your business. All of our custom email templates are easy to update and edit yourself. Interested in an email newsletter for your business or just have a few questions? Get in touch – we’d be happy to help. Posted on July 15, 2011 by Marie	This entry was posted in blog, featured in, news.